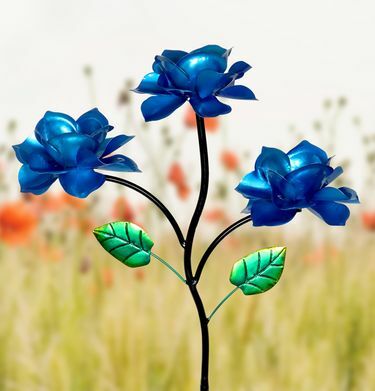 It's triple the fun when these three beautiful Blue Kinetic Roses add color, motion and life to your garden! Watch as a gentle breeze begins the spinning movement of each metallic hand painted rose. Size: 19.75" x 8.25" x 54" H.